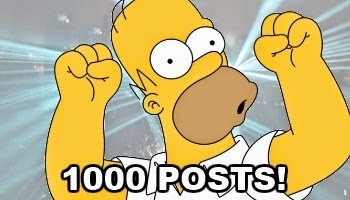 Our 1000th Post! Thank you Truth Team Readers! It took us a little bit over two years (June 2012 to July 2014) to get to 500 posts here on the Truth Team. But it has take us less than three months to pile on an additional 500 posts bringing our total coverage to 1000 posts (including this one!). Our coverage this fall has certainly picked up and our output of posts have, too. And that's because this election on November 4th here in Illinois means so much to the future of our state. We have good candidates up and down the ballot running for a wide range of offices. From Governor to Treasurer to Comptroller all the way down to County Boards all across Illinois. We've been trying to stay true to that mission and thanks to all of you - our readers and tipsters - we've started to have an impact. We can't say 'thank you' enough to all of you for tuning in each and every day. We get a big portion of our traffic via search queries and we welcome those people from around the state and world who are tuning into these candidates and issues. But, there is a strong core of folks who read the Truth Team EVERYDAY. It is you guys who keep us going. There are 17 days and 22 hours until the polls open. And...in that time, we're going to do everything we can to make sure the public is informed on good candidates and we work to help support them with content that they can share on social media and use to further their campaigns. Thanks for reading along with us on these 1000 posts. Here's to even more - both before November 4th - and beyond!